Do you want to start and finish your day with true modern luxury? At Aura Home, we are very proud of our new Quilted bedlinen collection. 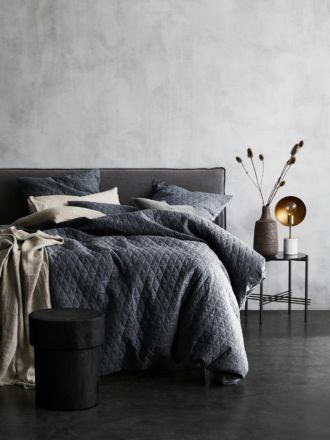 Allowing you to create the perfect bedroom all year round, our linen quilts add both texture and layered styling to your decor. Simply add an extra layer of warmth in winter or use as a fabulous bed cover in summer! 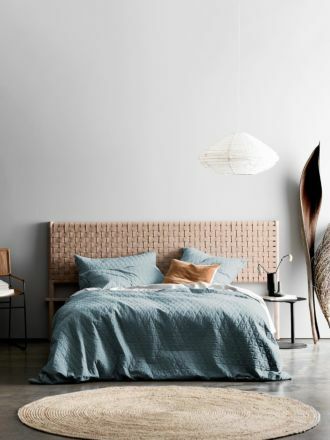 Fashioned by our incredibly talented weavers in our ever-popular chambray fabric, our collection includes linen quilt covers, standard and European pillowcases. Proudly designed here in our Melbourne studio, we have created the ultimate 3-dimensional fabric. This traditional weave of Chambray creates contrasting tones and is the perfect fabric to be quilted. Our Quilted collection has been woven in 55% linen and 45% cotton, pre-washed to achieve a tactile, vintage charm, and then all-over quilted with a light layer of pure cotton. With Free Shipping available across Australia on all orders over $150, our collection can be delivered straight to your home or workplace. We also offer Free 30-Day Returns and all orders received prior to 1pm weekdays are shipped the same day. You are not far away from that bedroom update you have been waiting for!